Confidence thinking is really the mastery of one's mind. You need to have control over your thoughts and not the other way around. Once you gain this skill, and it really is just a skill you develop, you then not only think positively, you'll have an aura of complete confidence and inner peace. It's your thought patterns which have the greatest impact on your life. Think about it. If you think everything in your world is horrible and that there's no hope then how can you possibly change your life for the better? Your negative thoughts now completely control your life. The good news is that you can change this simply by learning a few techniques to gain mastery over your thoughts. You start by paying attention to your thoughts. What is that little voice you have in your head saying to you over and over? Once you start actually hearing these thoughts, you're going to want to know "How do I stop the negative thoughts in my head" and "How do I gain control over how I automatically react to certain situations? You'll discover the answers to these questions in the articles listed below. Anger can be a valuable tool if you know how to use it. A comment was submitted to my site that said if you feel angry all the time then you need to take drugs and spend time on the "nut farm". I disagreed and this was that posting. Why Am I So Angry All The Time? - 11 possible reasons behind your constant anger. Why Am I So Angry All The Time? - An Example - Continuing on from the above article, an example demonstrating the numerous emotions that often occur behind feelings of anger. It's not only okay to feel anger sometimes, it's healthy for you. Here are 9 reasons why it's important to let yourself feel angry sometimes. Magnesium Deficiency? (opens in new window) - This is an interesting article which believes that a lot of people are feeling angry and violent due to magnesium deficiency. Interesting article. So, if you're feeling constantly angry, could be a sign you're magnesium deficient. Prozac - The Ultimate Deception by Dr. David W. Tanton (opens pdf document). This is a fascinating report on how medications like Prozac are causing some people to go into uncontrollable rages and explains why this is happening. Also, touches on how deficiencies in basics like magnesium, vitamin B, vitamin C, etc can also affect people's minds. Also, goes into how chemicals like fluoride and aspartame may also be playing a role. Fascinating report. Well worth reading. Feeling sad, unhappy, bored or just lost? This is the most common reason why and there's a simple fix. Whether it's failed relationships, not being able to get out of debt, being ignored by people, it could be your own beliefs. How your thoughts create your reality. And, also, how to go about "Changing Core Beliefs". So, how do you go about changing those old thoughts and beliefs you have anyway? Here are some tips and strategies on how to change your core beliefs. I read the book, Focus: A Blueprint For A Happier Life, and I just had to do an interview with Barbara Sachs Sloan who is the author. We talked about how to deal with jerks, how to be centered and more. Why Do Good Things Happen to Negative People? If you've ever read any positive thinking books, they tell us that if we think positive thoughts good things will come to us. So, why do good things happen to negative people too? Do you write yourself a list of things to get done and then struggle to get anything on that list completed? It may not be you, it might just be the way you're thinking about it. Does The Gratitude Exercise Work? You may have seen videos lately on something called the Gratitude Exercise and how it's supposed to change your life. Does the gratitude exercise work or are you really losing your power to the magic? Do You Know What Your Life Theme is? Does the State of Your Place Reveal the State of Your Mind? Take a look around your home. What is it saying about your mental state? Can You Colour Outside the Lines? What rules of society are you following without even realizing it? This is a really fun technique to build your confidence. It even comes with a downloadable pocket version. Which Comes First: Risk Taking or Confidence Building? - When taking risks, what needs to come first? You might be surprised by the answer. Why You Need To Learn To ACT - your attitude is the secret to your success. Do you know what your attitude really is? Is Invalidation Ruining Your Self-Confidence? - if you struggle with self-worth and self-confidence, it could be due to invalidation. People Who Make You Feel.... Do you really have a choice as to how you feel like all the quotes say you do? Whenever you notice that you're feeling bad, you can use one of the following techniques to instantly change your mood. If you're feeling frustrated and discouraged because you've been thinking positive thoughts and nothing is changing for you, maybe it's your expectations concerning positive thinking. Here are 10 situations when positive thinking won't work for you and why. To deal with fear, think of it like a double-edged sword. Read more about the two sides and how to choose the side that will enable you to slash your way to success. The Fear of Making Mistakes - Believe it or not, mistakes are actually good things, not bad. Let me tell you why. I used to drive myself crazy always wondering what if this happens or what if I make a mistake? On and on it would go. Here are 5 tips on how to handle what if worrying. Understanding Distractions - to be able to truly focus, you need to understand why you get distracted so easily. Procrastinating and Can't Focus - what are you willing to do? A great trick to beat procrastination. Understanding anxiety and an excellent tip on how to overcome it. You need to understand forgiveness in order to be able to let go of past hurts and anger. If you don't, it will affect every relationship you have. A Lesson In Forgiveness - 17 things learned when forgiving a mistake. Sometimes we replay a negative situation over and over in our minds. I call these "raging conversations" because the more we think about them, the madder we get. Sometimes, we get ourselves in this negative state just by thinking about a situation that hasn't even happened yet. Do you find that you always remember the negative and not the positive? Here's why that may be happening and what you can do about it. The secret to knowing how to stop struggling with an issue can be as easy as discovering how you're getting in your own way. 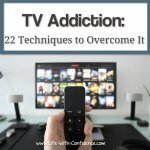 With 2 steps you can completely take control and finally stop struggling. Time was running out and I had no idea what I was going to do. Frustration and anxiety was running high. The Focus on Solutions technique turned out to be an amazing tool in more ways than one. Instead of saying, "Why me?" or "Why doesn't anything ever go right for me?" discover how you can use life's setbacks to your advantage. Frustration can be caused by feeling like things are being done to you. Take back your power by shifting your thoughts. Wish You Could Escape Your Life? And Don't Forget to check out my FREE ebook, The Power of Frustration. It's stuffed full of ideas on how to deal with any frustration. Do you find that you're constantly feeling guilty about things? Here are 7 reasons why you feel guilty and how you can actually use your feelings of guilt to move forwards in your life. Self-doubt can be crippling but also devastating in that it can prevent you from life your life to its full potential. Here's one trick you need to know. Feeling Emotionally Overwhelmed? - Another reason for feeling emotionally overwhelmed can be due to what I call the strangling vine theory. 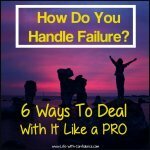 Check out what I mean and how by asking one simple question, you can regain control of your life. Imagine how great it will be to finally have your thoughts working for you instead of against you. 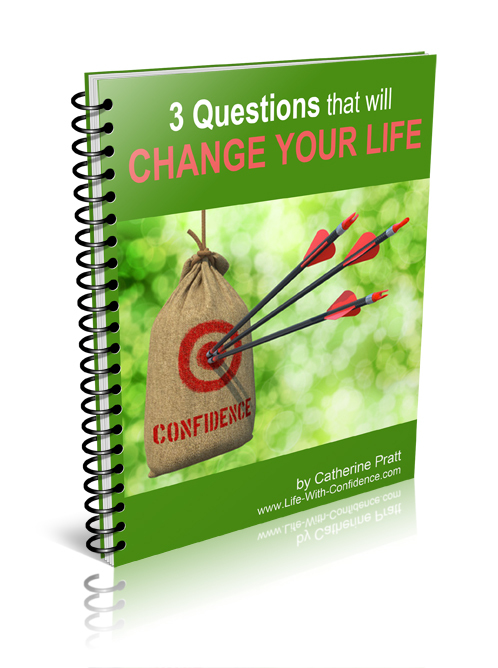 Life is just so much easier when you discover this deceptively easy technique of simply asking yourself 3 Questions. This little ebook really does put it all together for you and you'll suddenly see that it make so much sense. Why you've been procrastinating, why you feel so frustrated, why your relationships haven't been working, why you're just not accomplishing what you feel you should be by now? It's all in here. Truly amazing once you know. You'll wish you'd read this book years ago. All your friends and family will want to know "What happened? How did you suddenly get so together with everything?" Will you tell them? Maybe, maybe not. Sometimes it's good to just keep them guessing.